Czechs make up 94.24% of the inhabitants of the Czech Republic according to the 2001 census. The rest were Slovaks, Poles, Germans, Ukrainians, Hungarians, Russians, Bulgarians, Romani, Greeks, and Vietnamese. In 1930, the Jewish population of Bohemia and Moravia was 118,000 based on the census. It was virtually annihilated by the Nazis during the Holocaust. By 2005, there were approximately 4,000 Jews in the Czech Republic. 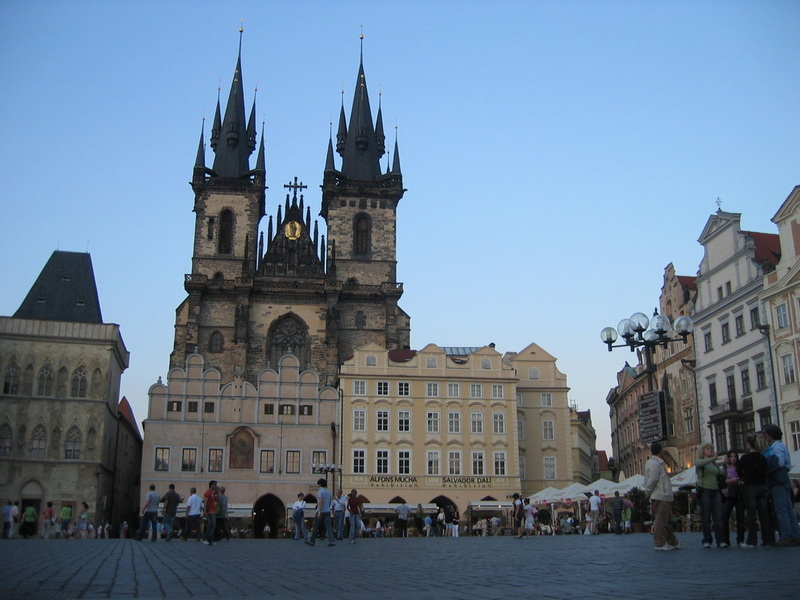 Along with Estonia, the Czech Republic has one of the least religious populations among the countries in Europe. In the 2001 census, 59% of the people are agnostic, atheist, a non-organized believer or a non-believer. Twenty-six percent are Roman Catholic and 2.5% are Protestant. The Czech Republic is a small, completely landlocked country in Central Europe. It is bordered by Austria to the south, Germany to the west, Poland to the northeast, and Slovakia to the East. Up to January 1993, the Czech Republic and Slovakia composed Czechoslovakia. The Czech Republic has three regions. These are Bohemia, Moravia, and Czech Silesia (the bulk of the former country of Silesia was ceded to Poland). Prague is the capital and largest city. From pre-recorded history up to 1526, Czech lands changed hands among several different rulers, from the Habsburg dynasty, to the Austria Empire, and Austria-Hungary. With the collapse of the Austro-Hungarian Empire after World War I, the independent republic of Czechoslovakia was formed in 1918. After a tumultuous period from 1918, Czechoslovakia was peacefully divided into Slovakia and the Czech Republic on January 1, 1993. The Czech Republic is a pluralist multi-party parliamentary representative democracy. It has 14 political regions that are subdivided into districts. Bohemia is a basin drained by the Elbe and the Vltava rivers, surrounded by low mountains, such as the Krkonose range of the Sudetes. Snezka at 5,255 feet is the highest point in the country. Moravia in the eastern part of the country is hilly. There are two rivers: the Morava and the Oder. The water from the landlocked country flows to the North Sea, the Baltic Sea, and the Black Sea. With a temperate continental climate, the Czech Republic has relatively hot summers and cold, cloudy and snowy winters. Temperature varies greatly, depending on the elevation. At higher altitudes, the temperature decreases and precipitation increases. Most rains fall during the summer. From third century BC, there were several waves of migrations from all directions into the area. The Moravian principality was established in the eighth century. The Kingdom of Bohemia emerged in the ninth century. During its entire existence, it was part of the Holy Roman Empire. The 12th and 13th centuries were marked by German immigrations. The Mongolian Horde conquered Czech lands in the invasion of Europe. The 14th century is considered the Golden Age of Czech history. The Charles University in Prague was founded in 1348. Bohemia became part of the Austrian Empire after the fall of the Holy Roman Empire. Later, it was absorbed by Austria-Hungary. After World War I, the independent republic of Czechoslovakia was created in 1918. Hungary, Poland, Nazi Germany, and Russia scrambled for their respective border territories. During the Nazi occupation, approximately 390,000 Czechoslovakians, including 83,000 Jews were killed or executed. Hundreds of thousands were sent to prisons and concentration camps or used as forced labor. From 1948 up to 1989, Czechoslovakia was a Communist state in the Eastern Bloc. 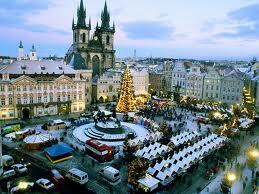 Prague, the capital and largest city, has a historic center and is included in the World Heritage List. Brno is the largest city in Moravia with several excellent museums. The Moto GP Grand Prix takes place here every year. Ostrava is the third largest city, with a vibrant local subculture and long history of coal mining. Olomouc, a vibrant riverside university town with a 1,000 year history has the second largest historical center in the Czech Republic. Rich collection of historical architecture includes the UNESCO-listed column of the Holy Trinity, six stone baroque fountains, several churches and the renaissance town hall with a 49 foot high astronomical clock. Bouzov and Helfštýn castles are nearby. Ceský Krumlov is a beautiful old town in South Bohemia with the country's second biggest chateau. Karlovy Vary (aka "Carlsbad") is home to the historic (and biggest spa resort in the Czech Republic. Pilsen, home of the original Pilsner Urquell beer, is the largest city in West Bohemia. Telc is a small South Moravian town with a perfectly preserved Renaissance town center that is surrounded by shallow manmade lakes. Prague has the most vibrant nightlife in the Czech Republic. There is a Pub Crawl every night under the astronomical clock in the Old Town Square of Prague at 9:15. It’s cheap and they take you to some cool pubs, bars and you end up at a night club. Outside of Prague, nightlife has similarities yet with unique distinctions among the districts. Numerous bars, nightclubs and entertainment centers are open until early morning. These are perfect places for people seeking entertainment to enjoy, and rejuvenate after a very busy day, with assorted fine liquors and liqueurs, together with savory and mouth-watering food items. The options are subject only to one’s preferences or inclinations in taste, palate, and wallet. Music in the Czech Republic has its roots both in high-culture opera and symphony and in the traditional music of Bohemia and Moravia. Great classical composers such as Ludwig van Beethoven and Wolfgang Amadeus Mozart are also linked closely to the Czech Republic throughout the period of the Habsburg Empire. Czech literature is divided into several main time periods: the Middle Ages; the Hussite period; the years of re-Catholicization and the baroque; the Enlightenment and Czech reawakening in the 19th century; the avant-garde of the interwar period; the years under Communism and the Prague Spring; and the literature of the post-Communist Czech Republic. Meat dishes are strongly emphasized in Czech cuisine. While pork is most common, also popular are beef and chicken. Rabbit, duck, goose and wild game are served. However, fish is rare. A traditional main meal of a day (usually lunch) consists of two or three dishes. The first dish is hot soup. The second dish is the most important part, often based on some meat and side-dish. The third, optional part is either something sweet or a small vegetable salad. In addition to Czech beer, Slivovitz, and wine, Czechs also produce two uniquely Czech liquors, Becherovka and Fernet Stock. Kofola is a non-alcoholic Czech soft drink, somewhat similar in look and taste to Coca-Cola, which is also popular.